Early in 1908, a young Dorothea Mackellar (1885-1968) sat down to write out the final draft of a poem she had been working on for four years. ‘Core of My Heart’ (later ‘My Country’) would become the poet’s most iconic achievement as a writer, marking a pinnacle in her literary career and creating a lasting landmark in Australia’s literary heritage. Poetry has played an important part in the founding of literature in Australia, and the works of Dorothea Mackellar are among our nation's most important examples of literary heritage. Already a young woman of some accomplishment when she began to write poetry, Mackellar had long resented the tendency, at this time, for Australians to refer to England as ‘home’. Addressing her most famous poem to English readers, Mackellar’s inspiration for her most iconic verse came directly from her childhood experience of life on the land, and reflected the spirit of ardent nationalism which had ignited with Australian Federation in 1901. While holidaying as a girl at her family’s property in the Hunter region of New South Wales, Mackellar had witnessed the breaking of a drought. In later life, the poet recalled how, after the rain, the grass began to shoot across the parched, cracked soil of the paddocks and, as she watched from the verandah, the land to the horizon turned green before her eyes. Mackellar wrote the first draft of ‘Core of My Heart’ (later ‘My Country’), Australia’s best loved and most quoted poem, in England between 1904 and 1908. 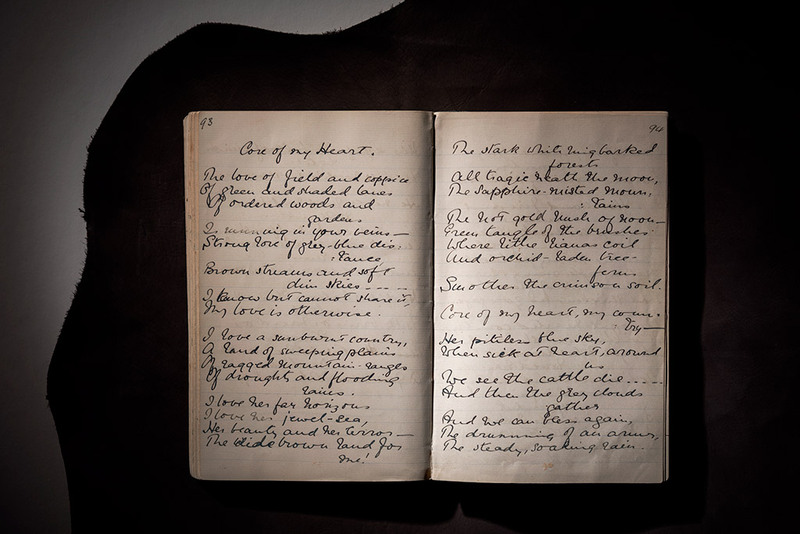 The only known manuscript version of the poem in its original form was recorded in Mackellar’s notebook, ‘Verses 1907-1908’, prior to its first publication in September 1908.